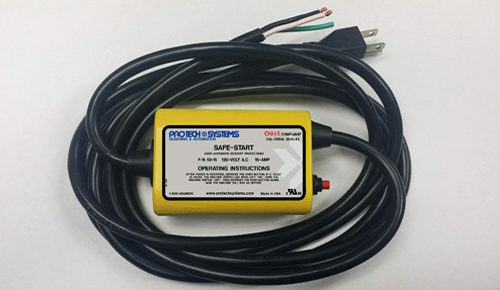 Use Model #50-25 on 120-volt machines where the power cord is old, and/or you want the reset button up closer to the machine for easy access with short extension cord style. 14-inch cord on male plug end, 12-inch cord female receptacle end This device comes with a warning/buzzer and reset switch. 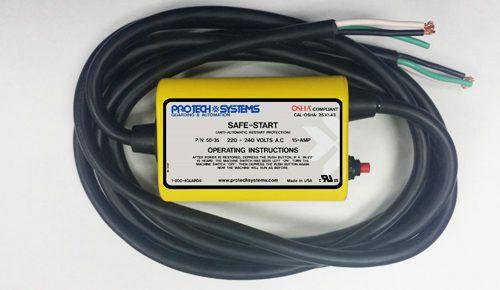 120 Volt, A.C., 50/60HZ, 15 AMP Maximum. Upgrades small machines to the latest safety requirements by preventing automatic restart accidents, after a power interruption. 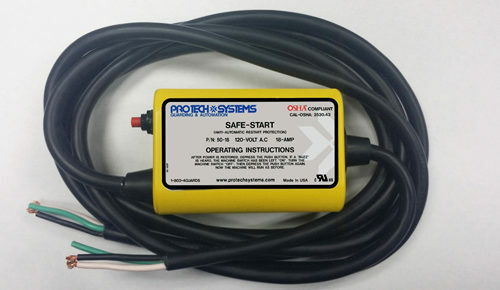 Offers electrical disconnect compliance by unplugging. 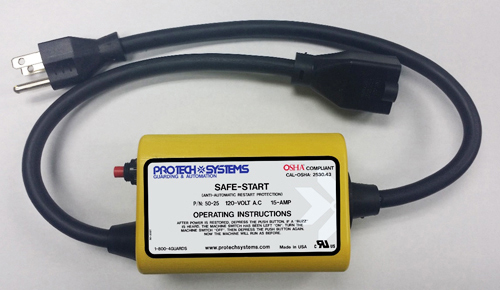 The Safe-Start is intended for installation on equipment, which is driven by a small electrical motor, operating on 120 V.A.C. or 240 V.A.C. (single phase) and which is connected to the source of electrical power by means of a 3-wire flexible cord.